Internal migration spurred primarily by employment and marriage helps shape the economic, social, and political life of India’s sending and receiving regions. About two out of ten Indians are internal migrants who have moved across district or state lines—a rate notable for the sheer numbers who move within a country with a population that tops 1.2 billion. While marriage is a common driver of internal migration in India, especially among women, a significant share of internal movements are driven by long-distance and male-dominated labor migration. These flows can be permanent, semi-permanent, or seasonal. Seasonal or circular migrants in particular have markedly different labor market experiences and integration challenges than more permanent migrants, but precise data on seasonal migration flows and a systematic accounting of the experiences of these migrants are major gaps in existing knowledge. Regardless of the duration of their stay, labor migrants face myriad challenges at their destinations in a country that is dizzying in its diversity of languages and cultures. Among the challenges: restricted access to basic needs such as identity documentation, social entitlements, housing, and financial services. Many migrants—especially those who relocate to a place where the local language and culture is different from that of their region of origin—also face harassment and political exclusion. Government responses to India’s significant internal migration are limited. The little legislation that does have provisions for workers’ rights is seldom enforced. The response of India’s diverse civil-society organizations has been more active, with the nongovernmental sector often stepping in to fill the gaps in welfare services, education, and labor rights that are left by the government. This article focuses on internal labor migration, describing the political, economic, and social barriers to integration that labor migrants face, and detailing the policy environment surrounding their integration challenges. More than two-thirds (69 percent) of India’s 1.21 billion people live in rural areas, according to the 2011 Census of India, but the country is rapidly urbanizing. The cities of Mumbai, Delhi, and Kolkata are all among the world’s top ten most populous urban areas, and India has 25 of the 100 fastest-growing cities worldwide. A significant source of this growth is rural-to-urban migration, as an increasing number of people do not find sufficient economic opportunities in rural areas and move instead to towns and cities. Provisional 2011 census data show that for the first time, India’s urban population has grown faster than its rural population since the last census. Thirty-one percent of India’s population is now classified as urban, up from almost 28 percent in 2001. In 2007-08, the National Sample Survey measured the migration rate (the proportion of migrants in the population) in urban areas at 35 percent. In addition to migration, natural population increase and the inclusion in census data of newly-defined urban areas also account for some of this urban growth. Despite India’s impressive rates of economic growth over the past three decades, vast numbers of Indians are unable to secure a meaningful livelihood. In 2010, 29.8 percent of all Indians lived below the national poverty line, while 33.8 percent of rural Indians lived below the national rural poverty line, according to World Bank data. While wage and education gaps between rural and urban Indians are declining, rural India is still characterized by agrarian distress, a chronic lack of employment, and farmer suicides. Thus, the rural-urban divide has been one of the primary reasons for India’s labor mobility. While migration data from the country is not as comprehensive or as recent as needed to see the whole picture (see Box 1), the 2001 Census counted about 191 million people—or 19 percent of the total Indian population at the time—as internal migrants who had moved long distances to other districts or other Indian states. About 70 percent of all internal migrants are women, and marriage is the primary reason for female migration, accounting for 91 percent of rural female migrations and 61 percent of urban female migrations. By contrast, men migrate mostly for employment-related reasons. Fifty-six percent of urban male migrants move in search of employment. Other top reasons for migration among Indian men (often with other members of the household) include family, business, and education. Internal migrants have widely varying degrees of education, income levels, and skills, and varying profiles in terms of caste, religion, family composition, age, and other characteristics. National-level data that identify trends in these features are not available. However, micro-surveys suggest that most migrants are between ages 16 and 40, particularly among semi-permanent and temporary migrants, whose duration of stay may vary between 60 days and one year. Scheduled tribes and castes—the tribal and caste groups that are explicitly protected in India’s constitution because of their historic social and economic inequality—are over-represented in short-term migration flows. And most labor migrants are employed in a few key subsectors, including construction, domestic work, textile and brick manufacturing, transportation, mining and quarrying, and agriculture. Labor migration flows include permanent, semi-permanent, and seasonal or circular migrants. Much of the available data polls migrants in the permanent and semi-permanent categories, and considerably less large-scale statistical data are available on the numbers and characteristics of circular migrants. Semi-permanent migrants are those who are likely to have precarious jobs in their destination areas, or lack the resources to make a permanent move. While they may reside in their destination cities for years or decades, they likely have homes and families in their sending district. Seasonal or circular migrants, by contrast, are likely to move from place to place in search of employment, or to continue returning to the same place year after year. Such circular flows encompass migrants who may stay at their destination for six months or more at a time and hence need social services at their destination. Scholars have long characterized this migration as a type in which the permanent residence of a person remains the same, but the location of his or her economic activity changes. Many of the women who migrate for marriage are also participants in the labor market, even if their primary reason for migration is marriage. The domestic maid industry in urban areas, for example, is a rapidly growing sector that employs women, most of whom are rural-to-urban migrants. The North Indian states of Uttar Pradesh and Bihar have the highest percentages of rural populations, with 18.6 percent and 11.1 percent of people living in villages, respectively, as of the 2011 Census. These states are also the largest migrant-sending states. Substantial flows of labor migrants relocate from Uttar Pradesh to Maharashtra, Delhi, West Bengal, Haryana, Gujarat, and other states across northern and central India. Migrants from Bihar relocate to the same destinations, with the highest numbers to Delhi and West Bengal. Other major migrant-sending states are Rajasthan, Madhya Pradesh, Andhra Pradesh, Chhattisgarh, Jharkhand, and Orissa. Predictably, all of the major sending states are characterized by very low social and economic development indices and the major urban destinations (enumerated below) are the growing economic magnets in an increasingly liberalized Indian economy. The cities of Mumbai, Delhi, and Kolkata are the largest destinations for internal migrants in India. Many of the migrants to these cities are intrastate migrants, relocating from rural areas of Maharashtra and West Bengal. All three cities also absorb large numbers of people from other states across India. Source: R.B. Bhagat and S. Mohanty, "Emerging Pattern of Urbanization and the Contribution of Migration in Urban Growth in India,” Asian Population Studies, vol. 5 no. 1 (2009): 5-20. Seasonal flows of migrants vary by area and industry, but several fine-grained studies of seasonal migration reveal extensive flows. Significant numbers of people from drought-prone regions—including areas of Andhra Pradesh, Karnataka, and Maharashtra—migrate seasonally to work in brickmaking, construction, tile factories, and crop-cutting operations. According to one study, 90 percent of laborers in the construction industry are internal migrants. Circular migrants are also attracted by agricultural work, such as the rice harvest season in West Bengal and the sugar cane harvest in Gujarat. Finally, while longer-term migration flows tend to be male-dominated, circular or seasonal flows in India—which are most prevalent among the poorest and tribal populations—tend to have a more even balance of men and women. While India’s internal migration flows are substantial, they are difficult to enumerate. Migration data from the 2011 Census have been collected, but not yet released. The 2001 Census and the 2007-08 National Sample Survey (NSS) both provide broad information on internal migration, but miss important aspects of India’s internal migration patterns. The 2001 Census lists 307 million internal migrants, but defines as a migrant anyone who lives in a place that is different than their place of birth or place of last residence. This definition casts too wide a net because it includes many people who move over very short distances, within the same district. On the other hand, it likely misses a significant number of seasonal migrants, who have as much of a chance of being counted in their place of birth or last residence as they do at their new destination. The Census does differentiate internal migration within districts, between districts in the same state, and across states. In 2001, interdistrict migrants accounted for 76.8 million migrants, and there were 42.3 million interstate migrants. Therefore, about 191 million people—or 19 percent of the total Indian population—were migrants from other districts or other states. These numbers reflect the numbers of permanent and semi-permanent migrants, but the Census does not provide information on circular, seasonal, or temporary flows. The National Sample Survey, conducted by the Ministry of Statistics and Program Information, asks people their “usual place of residence,” counting migrants as those who have stayed for six months or longer in a place that is different from their prior “usual place of residence.” As with the Census, temporary, seasonal, and circular migrants are difficult to estimate through the NSS data, and the survey’s estimates of seasonal migration are far below those of other analysts. The NSS counted 15 million short-term migrants, but other estimates have placed the number at about 100 million. Proving their identity is one of the core issues impoverished migrants face when they arrive in a new place, a problem that can persist for years or even decades after they migrate. Identity documentation that is authenticated by the state is indispensable for ensuring that a person has a secure citizenship status and can benefit from the rights and protections that the state provides. A birth certificate is the primary proof of citizenship in India, and is the primary document that can be used to acquire other documentation, such as ration cards and election cards. However, there are several variations across the country on how such documentation is issued and used. In India, many citizens are born at home or in rural or remote areas, not in places such as hospitals or clinics where birth certificates are issued. The overall birth registration rate in the country is 34.7 percent, but there are significant regional differences. Uttar Pradesh and Bihar, the home states of many labor migrants, have birth registration rates of 6.5 percent and 1.6 percent, respectively. This means that many labor migrants are undocumented when they arrive in the receiving community. The Aadhar project seeks to remedy this problem by issuing a 16-digit identity number to everyone on the National Population Register. Eventually, the government intends to issue an identification card to all citizens over 18. Until then, a ration card often stands in for a birth certificate as a person’s primary identity document. Issued by state governments, it is used to buy food, cooking oil, and kerosene at ration shops. The document lists the head of household, names and ages of dependent family members, and the family’s address. Each household has one ration card (although some states do issue the card to individuals). Across India, the ration card is the de facto necessary proof of identity that is essential for access to public services such as hospital care and education. It is often requested as a proof of identity and address for initiating telephone service or opening a bank account, and often used for casting a vote. Legally, however, it is only one of several documents that a person can choose to offer to verify their identity. Though national policy entitles migrants to a new ration card as long as they remove their names from their ration cards at home, in practice they find it difficult to do this. Many do not know the correct procedure for obtaining a new ration card, and others face obstacles if they have never previously held a card because they were absent from their home states when identification documents (such as voter ID cards) were issued. Additionally, officials are often unwilling to accept the documentation provided by some migrants (for varied reasons, including seeking bribes or discrimination). For this reason, many migrants do not want to risk removing their names from a ration card in their home state because they are uncertain of obtaining a new ration card at their destination. Overall, their migrant status makes it difficult for them to obtain identity documents in both the sending and receiving places. The basic problem of establishing identity results in a loss of access to entitlements and social services. Lack of identification means migrants are not able to access provisions such as subsidized food, fuel, health services, or education that are meant for the economically vulnerable sections of the population. The issue of lack of access to education for children of migrants further aggravates the intergenerational transmission of poverty. Overall, discrimination in the provision of rights and entitlements combined with internal migrants’ identity as outsiders in the receiving society often perpetuate the economic and political exclusion of many groups, and suggest that there are deeply exclusionary trends in India’s democracy. Migration and slums are inextricably linked, as labor demand in cities and the resulting rural-to-urban migration creates greater pressures to accommodate more people. In 2011, 68 million Indians lived in slums, comprising one-quarter of the population of India’s 19 cities with more than 1 million residents. Across the country, the experiences of slum dwellers are characterized by sudden evictions without adequate rehabilitation and local governments that do not provide low-cost housing for the urban poor. Slum dwellers who are migrants sometimes face the added challenge of establishing tenure—the right to remain on a particular piece of urban land, and the right to compensation if the dwelling on that land is seized by the government for redevelopment. However, many seasonal migrants are not even able to “make it” to the slums. Unaffordable rents in slums force them to live at their workplaces (such as construction sites and hotel dining rooms), shop pavements, or in open areas in the city. This further perpetuates their vulnerability to harassment by the police and other local authorities. Despite the economic imperatives that drive migration, migrant workers essentially remain an unbanked population. Since migrants do not possess permissible proofs of identity and residence, they fail to satisfy the Know Your Customer (KYC) norms as stipulated by the Indian banking regulations. They are thus unable to open bank accounts in cities. This has implications on the savings and remittance behaviors of migrant workers. In the absence of banking facilities, migrants lack suitable options for safe-keeping of their money. In order to avoid the risk of theft, they are forced to wait for long periods to settle their wages. This makes them vulnerable to cheating and nonpayment of wages at the hands of contractors and middlemen. Sometimes, they are forced to avail safe-keeping services from local shopkeepers, who charge a fee for this service. Many migrant workers end up resorting to informal channels to send money home. In the case of short-distance migration, workers end up carrying money themselves which poses a potential threat of mugging or personal injury. Long-distance migrants use courier systems or bus drivers who charge high service rates. Formal remittance services by private providers are mired by questions of legality, which means that a company like a domestic Western Union is unable operate in India. The government does run a money transfer service, but it is sparsely used due to long delays and corruption. In a state of continuous drift, migrant workers are deprived of many opportunities to exercise their political rights. Because migrants are not entitled to vote outside of their place of origin, some are simply unable to cast their votes. A 2011 study on the political inclusion of seasonal migrant workers by Amrita Sharma and her coauthors found that 22 percent of seasonal migrant workers in India did not possess voter IDs or have their names in the voter list. The study noted that “[m] any migrants leave their home at an age as early as 13-14. The voter ID is issued at an age of 18 or more. When they become eligible to get a voter ID, their work life is at its peak and their trips to home short in duration. Many migrants reported to not have the time to get their voter IDs made … and a staggering 83 percent of long distance migrants reported missing voting in elections at least once because they were away from home seeking livelihood options.” Because of this, migrant workers are often left unable to make political demands for entitlements or seek reforms. Local politics also have major implications for internal migrants. The intersection of local identity politics and migration creates political volatility in many cities and regions across India, including in Assam in the Northeast, Andhra Pradesh in the South, as well as cities across Northern India. The politics of Mumbai, the capital of Maharashtra, are an important example of the clash between migration and local identity politics. About 42 percent of Mumbai is Maharashtrian, and in 2001, migrants from other states accounted for 26 percent of the population in the Mumbai Urban Agglomeration (as compared to 4 percent in India as a whole). Mumbai is known both for its diversity of linguistic and cultural communities, as well as its decades-long history of anti-migrant politics. Since the 1960s, nativist political parties have claimed that migrants threaten Marathi culture and usurp job opportunities, residential space, and amenities that rightfully belong to the local Maharashtrian population. Historically, the Shiv Sena political party has been the anti-migrant voice in Mumbai’s politics. In the late 1960s, the Sena demanded that jobs be reserved for locals and was especially hostile to the Tamil migrant population that occupied middle-class jobs in Mumbai in the 1970s. Pressure from the Shiv Sena led to concessions from the Congress party, such as measures that gave preference to Maharashtrians for state government jobs. Today’s virulent anti-migrant party in Mumbai’s politics is an offshoot of the Shiv Sena—the Maharashtra Navnirman Sena (MNS; translated as the Maharashtra Renaissance Army). The MNS accuses North Indian migrants of taking jobs that they claim rightfully belong to local Maharashtrians. In 2008, after a fiercely anti-migrant speech by MNS leader Raj Thackeray in which he accused migrants of swamping Maharashtra, MNS supporters attacked North Indian migrants in Mumbai and other cities. Hundreds of thousands of migrants fled the state as a result. Orchestrated riots and violent political campaigns routinely target these migrants and protest their presence in the city. Mumbai is a particularly stark example of local identity politics that marginalize internal migrant populations, but it also reflects a basic reality of the Indian states system, which is organized by language and cultural groups: since most Indian states are, by design, the local homelands of India’s different ethnic and linguistic groups, migration between states often creates competitive politics between migrants and locals. It is also important to note, however, that some migrant destinations do not have a local backlash. 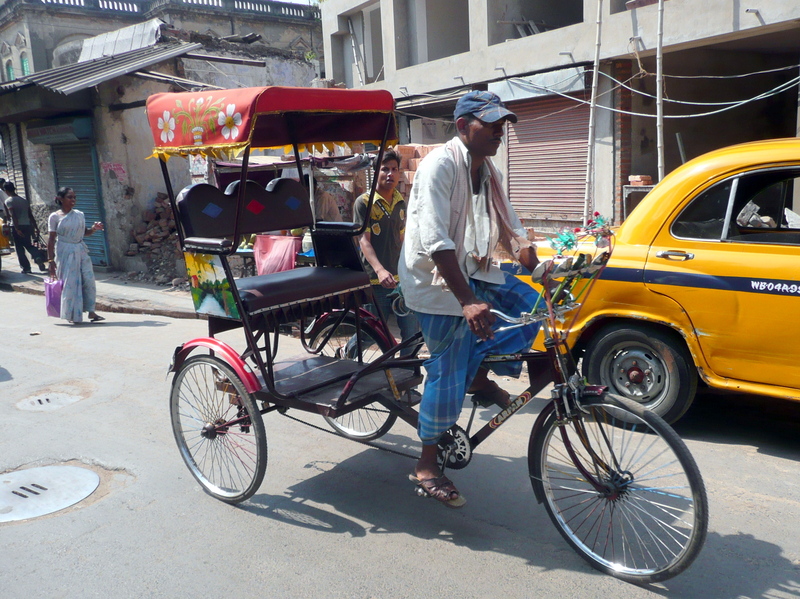 Bihari migrants in Kolkata, for example, form a majority of that city’s labor migrants, but there is no substantial nativist strain in Kolkata’s politics. As with other aspects of internal migration in India, outcomes can vary greatly by local context. Migration flows are mediated by an elaborate chain of contractors and middlemen who perform the critical function of sourcing and recruiting workers. The lowest links in this chain are most often older migrants who are part of the same regional or caste-based social network in the rural areas. The chain, then progresses toward destination- based contractors who aggregate workers from different geographies and link them finally with the principal employers. While these networks do serve the purpose of providing migrants with information and subsequent access to work opportunities, they largely operate in the informal economy. There are no written contracts, no enforceable agreements regarding wages or other benefits, and no commitments regarding regular provision of work. Migrants, completely dependent on the middlemen for information, end up working in low-end, low-value, hard, and risky manual labor and are constantly subject to exploitation with little or no opportunity for legal recourse. Their work lives are characterized by exploitative practices such as manipulation in wage rates and work records, nonpayment or withholding of wages, long work hours, abysmal work conditions, and verbal and physical abuse. Female workers, especially in the domestic and construction sectors, are often sexually exploited in return for the offer of regular work. Accidents and deaths at workplaces are also extremely common in the construction sector, which is aggravated by the absence of any kind of social protection. The presence of such elaborate contractor networks also means that it is almost impossible to fix accountability for most practices described. The worker never comes in touch with the principal employer who is thus easily able to absolve himself of any responsibility with regard to the welfare of workers. The fact that migrants are dispersed throughout a vast urban or rural canvas also seriously inhibits their potential to organize themselves in formal or informal ways. This further weakens their bargaining power in terms of wages, benefits, and working conditions. The inflows of migrants from rural areas and small towns into big cities has contributed to urban congestion and housing shortages in cities across India. Mumbai, Delhi, and Kolkata in particular are all known for the proliferation of slums and pavement dwellings, and generally intense housing pressures. In addition, city residents often perceive that migrants increase the competition for jobs and compete for basic amenities and city services such as water and sanitation. One of the policy conclusions that national policymakers have drawn from these outcomes is that the state should undertake efforts to prevent internal migration, through schemes such as rural employment programs. Such policy positions have persisted despite building evidence that migration can have positive outcomes for the poor. For example, remittances from migration are applied to health care or to repay debt. Despite increasing research along these lines, urban development projects often seek to keep migrants out, local authorities continue to treat migration as a problem, and migrants are often harassed by the police because they are considered to be closer to illegal residents rather than legal migrants. Migrants are particularly susceptible to police harassment—including violence and exhortation for bribes—because of their precarious position in the receiving society. Their basic needs, such as their access to housing, can depend on the cooperation of local police. The Government of India’s Inter-State Migrant Workmen (Regulation of Employment and Conditions of Service) Act of 1979 was passed in order to address the unjust working conditions of migrant workers, including the necessity of gaining employment through middlemen contractors or agents who promise a monthly settlement of wages but do not pay when the times comes. The act lists the responsibilities of employers and contractors and the rights of workers to wages that are equal to those of the local employees, the right to return home periodically without losing wages, and the right to medical care and housing at the employment site. In practice, however, this act is overwhelmingly ignored by state governments. As such, it articulates ideal working conditions for interstate migrants, but lacking provisions for enforcement, it has not been used to create a better policy environment in practice. In a scenario where the responses from the state and market have not contributed much to the welfare of migrant workers, civil-society organizations have been able to come up with solutions that have helped enhance returns from migration. While historically NGOs have sided with the anti-migration sentiment, recent thinking and innovations in migration practice have helped transform work opportunities for migrants into more stable livelihood options. Welfare Services and Social protection for Migrants. Aajeevika Bureau, a nongovernmental, nonprofit initiative was set up in 2005 in Udaipur, Rajasthan with the mandate of providing services, support, and security to rural, seasonal migrant workers. Aajeevika posits that rural-to-urban migration is an inevitable socioeconomic reality in transition economies such as India, hence the need is to provide services and solutions that can transform migration into a more rewarding opportunity. Aajeevika works through a network of walk-in resource centers that are functional at both the ends of the migration corridor. This linkage from source to destination is an important part of the organization’s operational strategy. Service provided to migrants include registration and photo ID cards; skills training and placement services for jobs at urban destinations; legal aid and literacy programs; organization of worker collectives at destination; assistance accessing banking and social security; and strengthening support systems for women and families affected by male migration. Education for Children of Migrants. NGOs in high out-migration areas have designed and implemented initiatives such as seasonal hostels and residential-care centers to enable inclusion of children from migrant families in schools at both source and destination. Some noteworthy examples are Lokadrushti in western Odisha for children of brick-making workers, SETU in Gujarat for children of migrants working in salt pans, and Janarth in Maharashtra for children of sugar cane cutters. Organizing Workers for Demanding Entitlements. NGOs such as PRAYAS Center for Labor Research and Action have adopted the rights-based strategy of unionizing migrant workers. They work with vulnerable occupation streams such as construction, brick-making, and cotton ginning. Through this model of unionization, PRAYAS was able to successfully reduce the number of child workers who were being trafficked to cotton seed farms from Rajasthan to Gujarat. The unions also enjoyed considerable success in negotiating wage increases for workers with employers and middlemen. PRAYAS’s work on child trafficking has also led to the creation of a joint task force by both source and destination governments to prevent child trafficking in the cotton pollination season. Institutional Linkages with the Urban Labor Market. Organizations such as Labournet in Bangalore have initiated programs aimed at member registration, certified training, and placement; the system acts as an interface between employers and certified workers. Apart from providing work linkages, they also facilitate the workers’ access to social security and financial inclusion. Access to Food Entitlements at Destination. Rationing Kruti Samiti, a network of civil-society organizations in Mumbai, is a successful initiative that has influenced government policy to enable migrant workers to accessing subsidized rations in urban destinations. The network was instrumental in the passing of a government resolution that acknowledges the issues faced by migrants in acquiring proofs of identity and residence, and proposes certain relaxations for both interstate and intrastate migrant workers. Disha, a leading organization in Nashik, used this government resolution to help seasonal migrants get temporary ration cards for a period of four months (extendable to 12 months) with relaxed documentary requirements. The magnitude and variety of internal migration flows in India, as well as the distresses associated with them, are enormous. A basic overview of this complex phenomenon makes clear that in spite of the vast contributions of migrants to India’s economy, the social protections available to them still remain sparse. While the state and market have failed in providing protections to these millions of internal migrants, civil-society interventions across various high migration pockets in India offer a number of successful, context-specific solutions that the government can adapt and build upon in order to protect this marginalized segment of workers. A concerted national strategy that ensures access to entitlements and basic work conditions will be essential in building a sustainable and equitable pathway to progress. Bhagat, Ram B. 2011. Summary Report in Workshop Compendium Vol. 1. National Workshop on Internal Migration and Human Development in India, Indian Council of Social Science Research, New Delhi, December 6-7, 2011. United Nations Educational, Scientific and Cultural Organization (UNESCO). Available online. Bhagat, R.B. and S. Mohanty. 2009. Emerging Pattern of Urbanization and the Contribution of Migration in Urban Growth in India, Asian Population Studies, vol. 5 no. 1: 5-20. Census of India. 2001. Data Highlights: Migration Tables. Available online. --. 2011. Rural Urban Distribution of Population (Provisional Population Totals). Available online. Deshingkar, Priya and Shaheen Akter. 2009. Migration and Development in India. Human Development Research Paper 2009/13. New York: United Nations Development Program. Available online. Dyson, Tim, Robert Cassen, and Leela Visaria, eds. 2004. Twenty-First Century India: Population, Economy, Human Development, and the Environment. New York: Oxford University Press. Hnatkovska, Viktoria and Amartya Lahiri. 2013. The Rural-Urban Divide in India, working paper. London: International Growth Center, London School of Economics. Available online. Keshri, Kunal and Ram B. Bhagat. 2010. Temporary and Seasonal Migration in India. Genus 66 (3): 25-45. Available online. Khandelwal, Rajiv, Amrita Sharma, and Divya Varma. 2011. Creative Practices and Policies for Better Inclusion of Migrant Workers. New Delhi: UNICEF India in collaboration with Indian Council of Social Science Research and Sir Dorabji Tata Trust. Available online. LabourNet. Home page. Accessed November 20, 2013. Available online. Rao, Nitya. 2006. Power, culture and resources in gendered seasonal migration from Santal Parganas. In Poverty, Gender and Migration, eds. Sadhna Arya and Anupama Roy. New Delhi: Sage Publications. Sharma, Amrita, S. Poonia, M. Babar, V. Singh, P. Singh, and L. K. Jha. 2011. Political Inclusion of Migrant Workers: Perceptions, Realities and Challenges. Paper presented at workshop on Political Inclusion of Migrant Workers and their Access to Basic Services, Lucknow, India, March 10–11, 2011. Srivastava, Ravi. 2011. Internal Migration in India: An Overview of its Features, Trends and Policy Challenges in Workshop Compendium Vol. 2, National Workshop on Internal Migration and Human Development in India, Indian Council of Social Science Research, New Delhi, December 6-7, 2011. UNESCO. Available online. Srivastava Ravi and S. K. Sasikumar. 2003. An Overview of Migration in India: Its Impacts and Key Issues. Paper prepared for the Regional Conference on Migration, Development and Pro-Poor Policy Choices in Asia, June 22–24, 2003, Dhaka, Bangladesh. Available online. UNICEF. Undated. Overview of Internal Migration in India. Available Online. Weiner, Myron. 1978. Sons of the Soil: Migration and Ethnic Conflict in India. Princeton, NJ: Princeton University Press.